Construction workers go to work each day ready to meet the physical demands of their jobs. But a serious accident can put you on your back for weeks, months, or years – or you may never be able to return to work and the life you once knew. You probably have questions about when you will be able to go back to work, or how you will support your family if you cannot work. You may be angry at the carelessness of another person or another company at the job site that caused your accident to happen. At Warren & Kallianos, we know that a construction injury is never just an injury. It can be a life-changing event that affects your entire family. You need our knowledge and determination on your side. 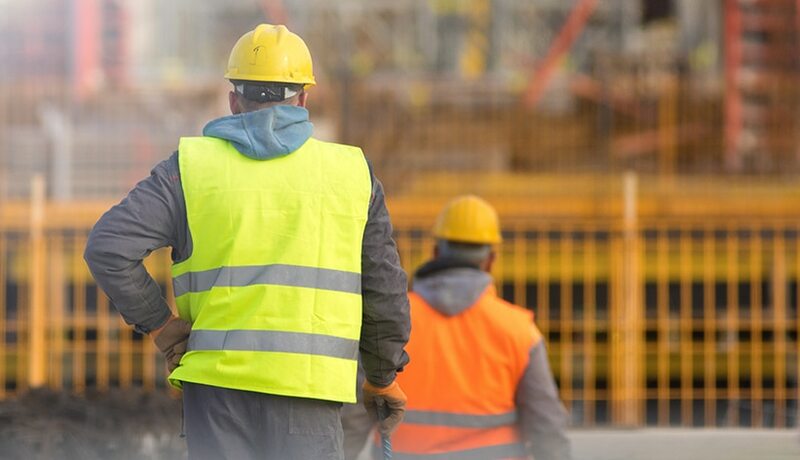 Attorneys Jeff Warren and Chris Kallianos have decades of experience handling personal injury cases, including accidents involving severe injuries on construction sites throughout the Charlotte area. While the risk of nearly any kind of injury is present on a construction site, some injuries occur more frequently than others. Here is a list of the most common injuries that take place on construction sites every year. A traumatic brain injury (TBI) occurs when the brain is injured or damaged in some way due to an external force. The most well-known TBI is a concussion, which happens when the head strikes or is struck by another object. An injury in which the brain is penetrated by an object, like a projectile from a misfiring nail gun, is another type of TBI. Even when workers wear protective gear like hardhats, traumatic brain injuries can easily occur on construction sites. A fall from a height, a defective piece of equipment, an explosion that sends glass and debris flying, or a falling tool or load can all cause damage to a worker’s brain. Even mild TBIs can cause lingering problems with movement, mood, memory, and concentration, as well as chronic headaches and other severe pain. The spinal cord is the bundle of nerve fibers that connects the brain to the rest of the body. When the spinal cord is compressed, crushed, cut, or severed, the resulting symptoms can range from weakness and loss of coordination to total paralysis or even organ failure and death. Spinal cord injuries are among the most difficult injuries to treat. Although significant advances in medicine have been made in recent years, most spinal cord injury patients must live with lifelong disabilities as a result of their injuries. A fall from a height, a slip and fall on spilled oil or sawdust, a heavy load landing on an arm or leg, a hand caught in a machine – these are just some of the construction site accidents that may cause broken bones or crush injuries. Fractured bones may require surgery in order to set them properly, as well as a prolonged period of rest and rehabilitation before the bone is healed and the muscles that surround it are strong again. Some fractures never heal properly. Crush injuries, which cause severe trauma to the muscles, nerves, and tissues as well as to the bone, can take longer to heal. Crush injuries also expose the injured person to a greater risk of infection or to “crush syndrome,” a condition that causes shock and, in severe cases, kidney failure. Exposed wiring, volatile fumes, and open heat and flame sources all increase the risk of thermal, electrical, or chemical burns for workers at a construction site. Burn injuries can cause severe damage to large areas of the body. In some cases, a burn is so severe that the affected limb must be amputated to save the patient’s life. Repeated surgeries to place skin grafts, extensive healing time, a greatly increased risk of infection, and lingering nerve damage and scarring can all occur when a construction worker is severely burned. The more severe an injury is, the more extensive and specialized medical care may be required to save the life of the patient and to restore him or her to the fullest possible level of functioning. When injuries cause conditions like paralysis, lifelong care may be required. The costs of catastrophic injuries vary from person to person and from family to family. However, various studies have estimated that the medical costs for care immediately following a catastrophic injury can be well into the six-figure range, and sometimes higher. These medical bills are only for the care the patient needs immediately after a serious accident occurs. They do not include the costs of care for therapy, rehabilitation, or ongoing medical needs, like the help of a caregiver when injuries leave a person unable to carry out basic life skills. They also do not include losses like lost wages, replacing property damaged in the accident, or the pain and suffering the injured person endured. To ensure that any settlement in your case reflects the full extent of your losses, it is wise to work with a North Carolina personal injury lawyer who understands the complexities of workplace injury claims. When you enlist the help of our law firm, you will deal directly with Charlotte construction injury attorneys Jeff Warren and Chris Kallianos. We treat our clients the way we would want our own loved ones to be treated if they needed help. We provide personalized attention. We will be accessible if you have a question and we will keep you updated regularly on the progress of your case. We offer the skilled representation you need to secure the compensation you deserve. Construction areas are busy places with a general contractor and multiple subcontractors often working at the same time. Our attorneys can investigate your construction accident and identify all the potentially responsible parties who contributed to your injuries. If a contractor or someone else other than your employer or co-workers caused the accident, you may have a legal right to sue them for compensation for your injuries in addition to receiving workers’ compensation benefits from your own employer. A thorough investigation of the construction accident to pinpoint all the potentially at-fault parties, including the manufacturers of unsafe construction tools and equipment and other employers and other sub-contractors at the site. Identification of the insurance companies representing each potentially responsible party in the accident. Work with construction industry experts to reconstruct the construction accident and show how negligence caused the accident and resulted in your injuries. Hire financial planners to estimate your future medical expenses and future income losses if you have a catastrophic injury that will prevent you from returning to work or prevent you from earning the same income in the future. Negotiate aggressively with insurance companies for just compensation that reflects the full extent of your present and future losses. Prepare your claim thoroughly for trial if necessary. Our approach is to develop each construction injury case thoroughly as if we will be taking the case to trial. Most cases are settled out of court before trial. But our thorough preparation and command of the evidence gives us an advantage in negotiating on behalf of our clients. Because your financial future depends on the outcome of your construction injury claim, you should turn to a law firm with experience in helping people seek compensation for the serious injuries they have suffered on construction sites. $4,000,000 for client who sustained catastrophic burn injuries due to an arc flash explosion while working on an energized power panel. $1,550,000 for electrical worker who was electrocuted on the job, suffering severe injuries and burns that covered more than one-fifth of his total body surface. $1,500,000 for client who suffered a severe head injury after the vehicle he was riding in hydroplaned on water that a construction site’s crew had failed to clean up. $1,120,000 jury verdict for a client who was crushed when the crane he was working to dismantle collapsed on top of him. Our client suffered severe bone fractures and permanent injuries. You are likely entitled to workers’ compensation benefits for your injuries, and you may be entitled to seek compensation from the at-fault party in a personal injury claim in certain circumstances. The selection of a qualified construction accident attorney to investigate what happened is one of the most important decisions facing you after a serious injury. This decision could have a significant impact on your financial recovery and your family’s future. The specific facts of your construction injuries will dictate the amount of compensation that may be sought and whether punitive damages are in order. Our goal as your attorney is to obtain maximum compensation to allow you to move forward after a serious injury. If you’ve been injured in a construction-related accident, don’t wait. Call 704-275-5593 or contact Warren & Kallianos today for a free claim review and advice about your legal options and to find out how we can help you pursue compensation for the injuries you suffered in a construction site accident in North Carolina.